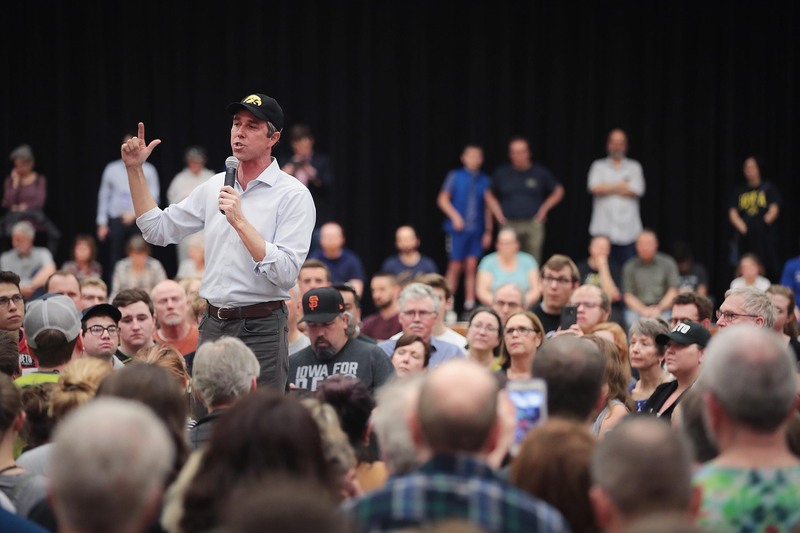 2020 presidential hopeful Beto O’Rourke called Israeli Prime Minister Benjamin Netanyahu a “racist” who has sided with a “far-right racist party” on Sunday. The remarks were made to reporters after a campaign rally in Iowa, during which the former Democratic Texas U.S. Representative was asked about the conflict in the region, according to a CNN report. “I don’t think Benjamin Netanyahu represents the true will of the Israeli people or the best interests of the U.S.-Israel relationship, or any path to peace for the people of the Palestinian Authority, the Gaza Strip, and the state of Israel,” O’Rourke said of the Israeli leader, who has been re-elected four times. The comments seek to establish his position within the ongoing debate between President Trump and Democrats over Israeli policy and the president’s support of Netanyahu, who visited the White House in March. Trump signed a proclamation recognizing the Golan Heights as part of Israel during their meeting. Netanyahu’s opponent is former Chief of the Israeli General Staff Benny Gantz.